Shields (illness) is active for Sunday's game versus the Saints, Rich Hammond of the Los Angeles Daily News reports. 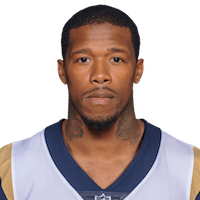 Analysis: Shields hasn't played more than 26 defensive snaps in any of the last four weeks, making four tackles and breaking up a pass in that span. 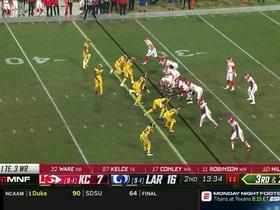 It's likely the trend continues with Nickell Robey-Coleman and Marcus Peters taking a majority of the snaps at corner. Shields (illness) arrived in New Orleans on Saturday and could play Sunday versus the Saints, Steve Wyche of NFL Network reports. Analysis: Shields didn't practice Thursday or Friday and didn't travel with the team, but the fact he's in New Orleans now is a reason for optimism. 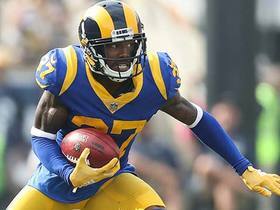 He's not used in a full-time role often and mainly seen as a nickel corner, but he'll aid the Rams' secondary against a high-caliber Saints offense if he can go. 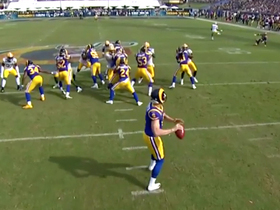 If not, expect Nickell Robey-Coleman and Troy Hill to see upticks in defensive snaps. Shields (illness) is questionable for Sunday's game against the Saints. Analysis: Shields was held out of New Orleans' practice Thursday and Friday after coming down with an illness, and his Week 9 status appears to legitimately be in question. 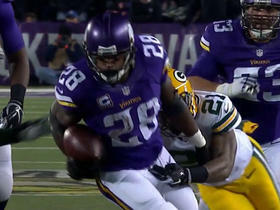 The starting cornerback's availability could be a game-time decision. 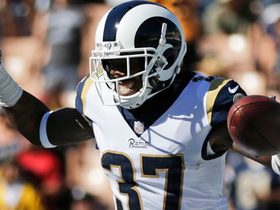 If Shields were to miss any time, expect Nickell Robey-Coleman to enter the starting lineup. 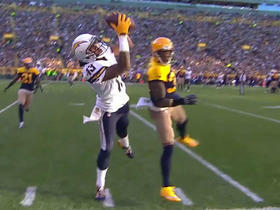 NFL Network's Nate Burleson announces the NFL Way to Play recipient for Week 8, Rams cornerback Sam Shields. 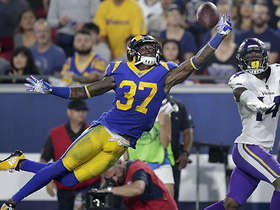 Los Angeles Rams defensive back Sam Shields dives to break up pass intended for Minnesota Vikings wide receiver Stefon Diggs in Week 3. 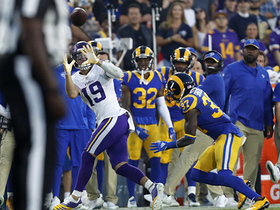 Minnesota Vikings wide receiver Adam Thielen squeezes his toes along the sideline while catching a 8-yard throw by Minnesota Vikings quarterback Kurt Cousins. 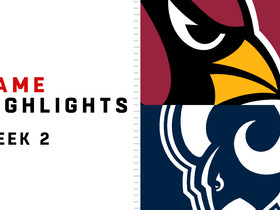 Watch the best plays from the Week 2 matchup between the Arizona Cardinals and Los Angeles Rams in the 2018 NFL season.